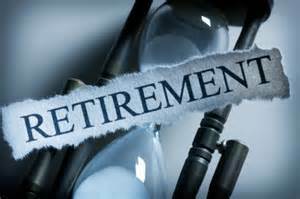 Retirement systems are at an excessive risk of fraud due to data compliance failures and Social Security fraud. These issues are caused for a variety of reasons, including unreported deaths and Social Security number and identity theft. However, there are solutions available to help retirement systems and trusts with fraud prevention and accurate fund disbursement. Our data compliance solutions at LifeStatus360 provide the tools to help the retirement system prevent fraudulent activity and overpayments. We use our proprietary SaaS platform to supply our customers with the quickest, most reliable results in the data compliance industry, and we are setting the new industry standards for Death Audit and Life Audit reporting. We can use any information, such as Name, DOB, SSN or last known address, to help you locate your retirement and pension plan participants. During our process, we’ll analyze the death audit data to establish the mortality of your participants before using our advanced system to locate any of your missing participants and help you clean up your data records. At LifeStatus360, we know that securing our systems and protecting the integrity of our customers’ data is a top priority, especially in the health care field with HIPPA requirements and electronic medical records. We share the goals of safeguarding data against external risks, and understand the essential fiduciary and regulatory requirements tasked to the retirement industry. Using our advanced technology, proprietary SaaS platform and vast collection of reliable data sources, our solutions offer the fastest results in the industry to aid in our customers’ fraud prevention objectives. Request your complementary walk-through webinar to experience how our system works, and sign up for our exclusive 7/30 Challenge. To learn more about these offerings and start your free trial offer, contact us online or via telephone at 888-LIFE-360 (888-543-3360).